So this week I am very excited to be sharing my newest office organization project! I have been lax on this year's goal of getting my office organized so it's nice to get back to that! 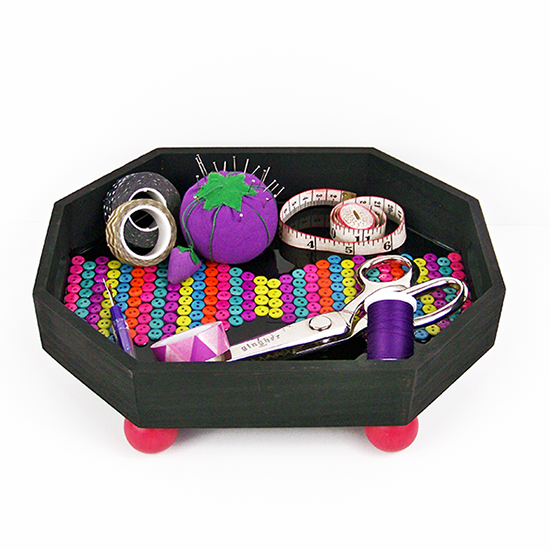 I made this little tray to keep all of my sewing stuff organized. So I thought giving it a button motif would be adorable, and I was right! Also I got to work with resin for the first time! I liked it and I really wish it wasn't so expensive so I would be able to justify working with it more often. 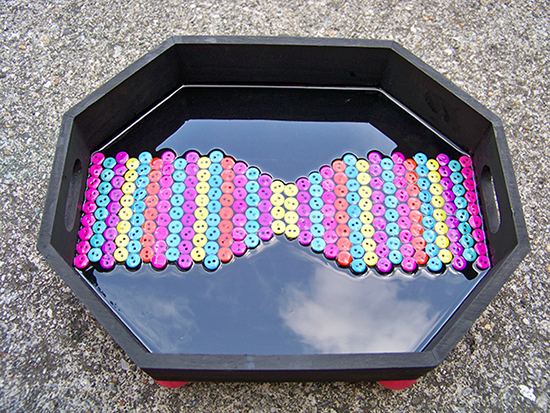 Do you like to work with resin, for jewelry or other projects? Anyway, if you want to learn how to make this awesome catch-all, check it out here!